Modern apartment close to beach and town. Welcome to my Sitges home. Location and modern comfort are the key-words. Location as in within 5 minutes walking from the center of Sitges for groceries and restaurants and to the closest beach. A few minutes extra only to walk to the Sitges train station to catch a train or direct bus into Barcelona city which is only half an hour away. If you come by car, a parking spot is at your disposal within the building and included in the rental. Comfort as in a spacious living room, large front terrace, 2 bedrooms of which one has an en-suite bathroom, the 2nd bathroom is in the hallway right across the smaller 2nd bedroom. In total there is a queen bed (2p double bed) en 2 single bed - a baby bed can be foreseen as well. The kitchen is fully equipped including dishwasher / washing machine en dryer, Nespresso machine. Feel free to reach out to me for any questions or requests. Since Sitges and the apartment are still my part-time home, the apartment is different than any typical tourist rental place. It's a 'home' with modern comfort which I love to share with travelers, friends and family from all over the world who want to spend some relaxing holidays in this beautiful catalan coastal resort next to Barcelona. The apartment has space and is bright and warm. The real catch of the apartment though is its location : within 5min walking from the beaches, within 5 min walkin of restaurants and bars and within walking distance of the train station where you can take 4X/hour direct trains into the city center of Barcelona. Once you arrive in Sitges, you can park your car in the garage in the building on my parking spot and do everything on foot. Very nice property. It has comfortable beds and a great shower. 2 of the more important things for me in an accommodation. The kitchen is equiped nicely with plenty of dishes, glasses and etc. We were only 2 people but we could have hosted a party of 12 easily:) The building itself is quiet and maintained well. It is centrally located and a short walk to the train station, shops and the beach. Sitges is a really fun city. Small town feel with friendly, warm people. We had a great time. Thank you Susan. It was lovely having you. 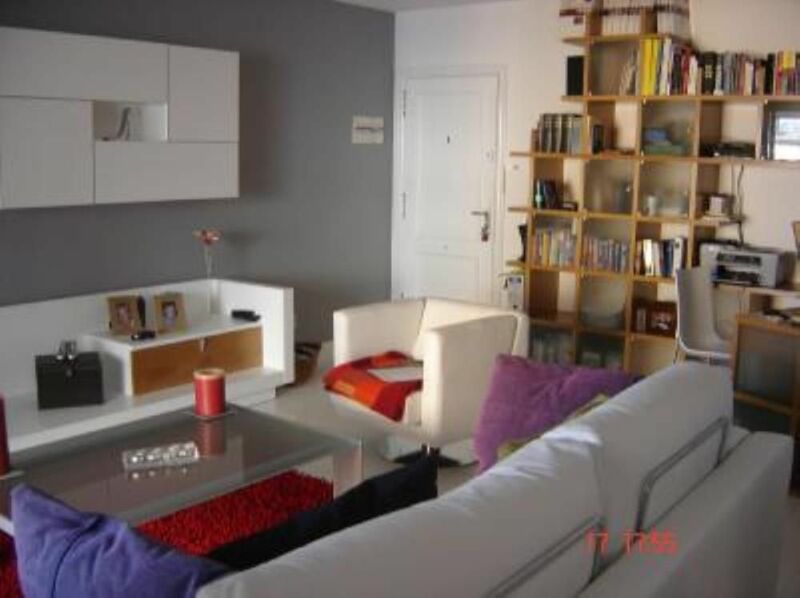 Apartment was in a great location near the beaches, town and station. Perfect for trips to Barcelona. The Sitges festival was a fun experience with amazing fireworks! The apartment itself was very comfortable with everything we needed and the balcony was a lovely place to start and end the day. Inge and Elisabeth were very helpful and even let us leave our luggage in the apartment on departure day until our transport arrived. Would love to stay again. Thanks, Julie, Graham and the boys. We enjoyed a comfortable stay in this lovely, clean apartment. It is ideally situated on the main road through Stiges within 10 minutes walk to the nearest beach, the local bus stop (frequent buses to Barcelona and the airport), railway station and local shops. Double glazing ensures traffic noise is minimal. The main living area comprises of a spacious seating and dining area which leads out onto a large veranda. The veranda was one of our favourite places to sit on comfortable sofas with plump cushions. We used the outside table to eat every day too. There is a computer in the main living area, which the owner is happy for people to use. There is wi-fi in the appartment too. The main air conditioning unit is in the living area which keeps it nice and cool. The bedrooms did get quite warm though through the night, so we used a fan in the double bedroom to circulate the air which helped a little. Both bedrooms had adequate storage space with lots of coat hangers. Although the kitchen is small, it is very well equipped with a microwave, oven, coffee maker, kettle, tumble drier and large fridge/freezer. Outside on a small balcony there is a washing machine and dishwasher. There is plenty of crockery and cutlery. There is two bedrooms; one with 2 single beds and the other with a double bed and en suite bathroom. There was a main bathroom opposite the twin room, but the shower was so fabulous in the en suite we did not really use it! There were plenty of towels available. The swimming pool was generally quiet and we were able to take some small plastic chairs down with us. Lots of shade around the pool during the day was welcome in the heat of July! There was an umbrella to borrow which we took to the beach. Inge, the owner, was very helpful prior to our stay sending us useful information. It is evident she uses the appartment herself as it is furnished in a homely way which we liked. I would recommend this appartment to families wanting to be close to local amentities and just a train/bus ride away from the sights in Barcelona. Location of apartment was excellent. Close walking distance to public transport, shopping, restaurants, bars and beaches. Apartment was exactly as described. It is very well supplied with bedding, towels, dishes etc. We shared the apartment with another retired couple but the apartment is also suitable for a family. Would definitely stay here again if we are fortunate enough to visit that part of the world again. Looking forward to welcoming you any time. Thank you for your stay. Wishing you a lovely summer, Inge. "The apartment is quiet and very well located, within walking distance to the station, old town and beach. It is very generous in size and is well appointed, with everything you need for a comfortable stay. Communication with Inge, the owner, was always excellent and a couple of minor issues were sorted out straight away. Inge left notes on recommended restaurants in Sitges and Barcelona. We tried some of them and they were excellent. So we can heartly recommend the apartment for anyone wanting to enjoy Sitges and Barcelona." Ideal location if you are looking for a mix of beach and city or exploring the Catalan province. The apartment is within the centre of Sitges, a 5 minute walk from the beach and within less than 10 min walking from the train station which takes you 4X / hour to the center of Barcelona. You can leave your (rental) car in the garage and use it whenever you feel like exploring beautiful Catalunya. Un surplus de 50 Euro est a regler sur place pour des arrivées / check-in après 18h ou les dimanches ou jours fériés. Late check-ins (= after 6pm) or check-ins on a Sunday or federal holiday have a 50€ surcharge.